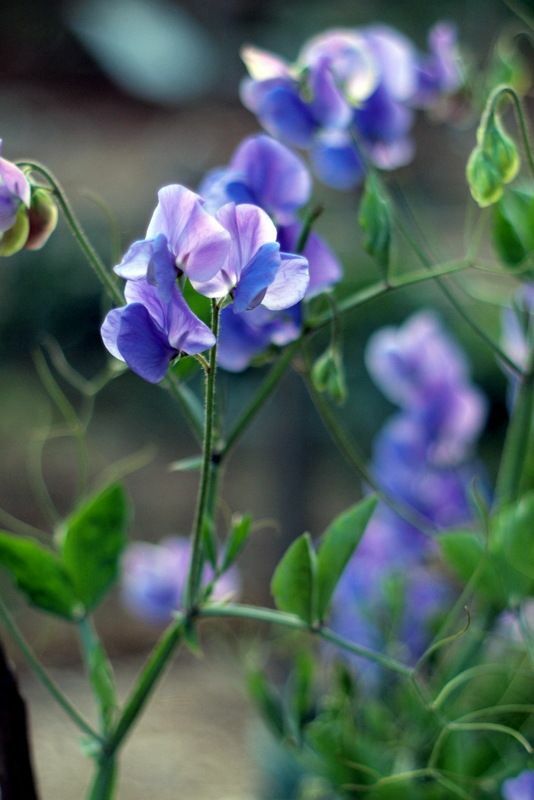 After sowing some borlotti beans late afternoon in anticipation of rain, I tracked down all the sweet peas in bloom in neighboring plots. 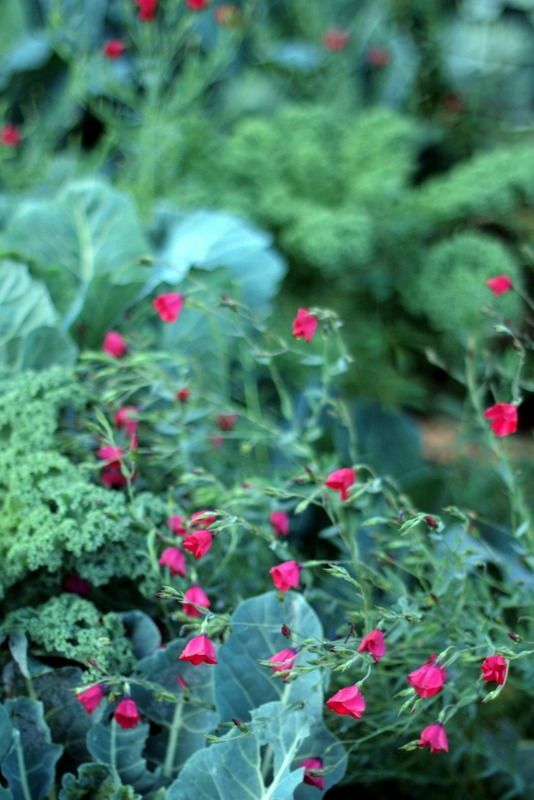 And I always stop to admire how Scarlet Flax has woven through some kale. 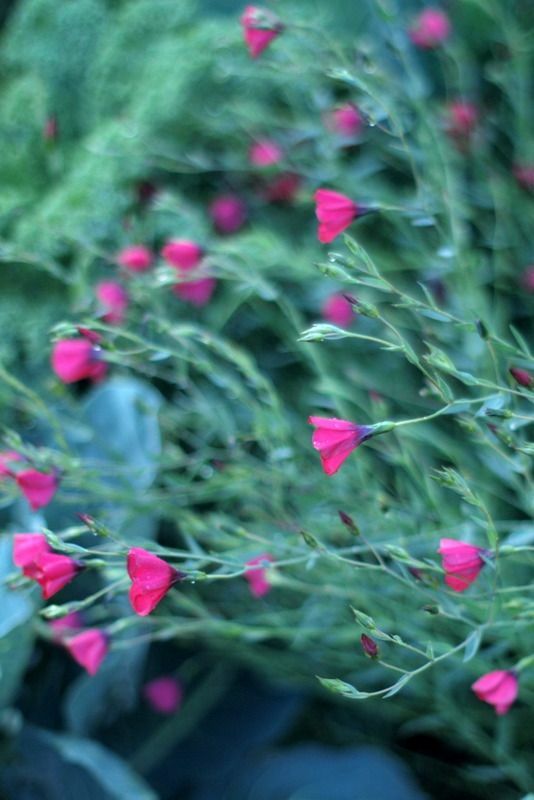 A reseeding annual, Linum grandiflorum ‘Rubrum.’ So is this intentional or a happy accident? One of the things I like most about reseeders is how they constantly offer new possibilities to consider, like scarlet and blue-green. Just rip it out if it’s not your taste. 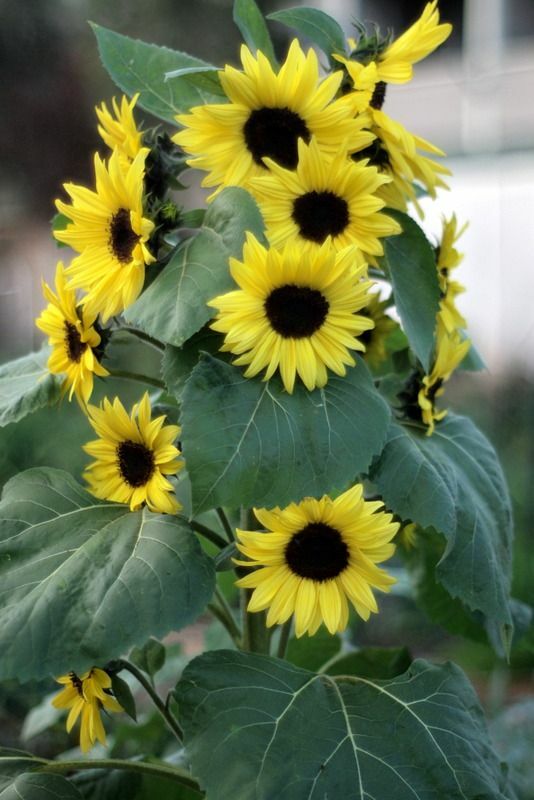 Self-sown sunflowers already in bloom. Reseeders are indifferent to planting guides and timetables. 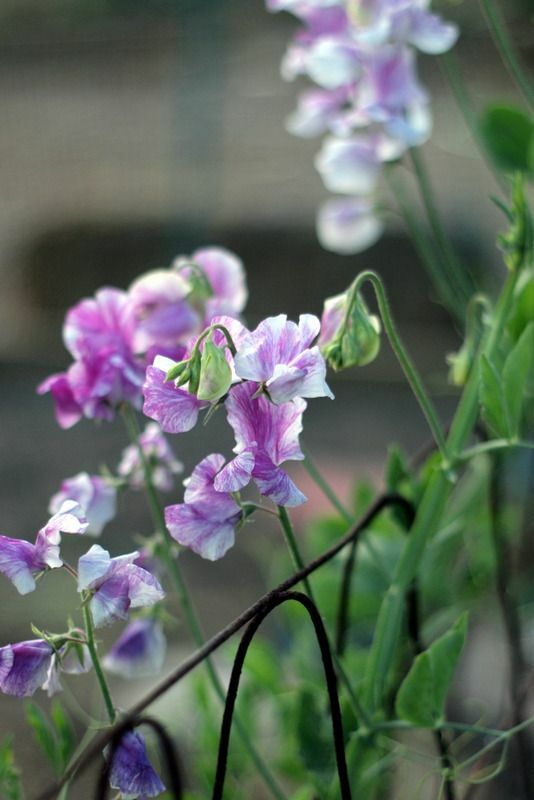 Sweet peas don’t reseed true to their stunning varieties, so new seed must be bought fresh every season. 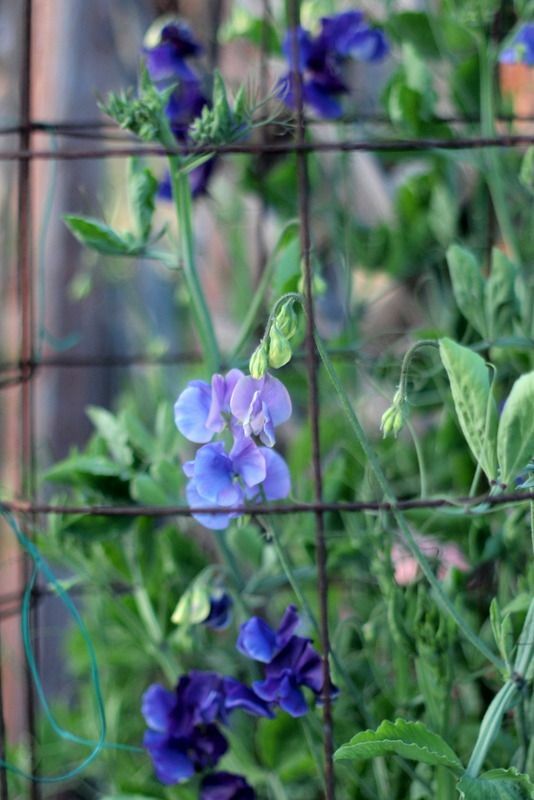 Some of the best growing instructions for florist-grade sweet peas can be found at Floret. 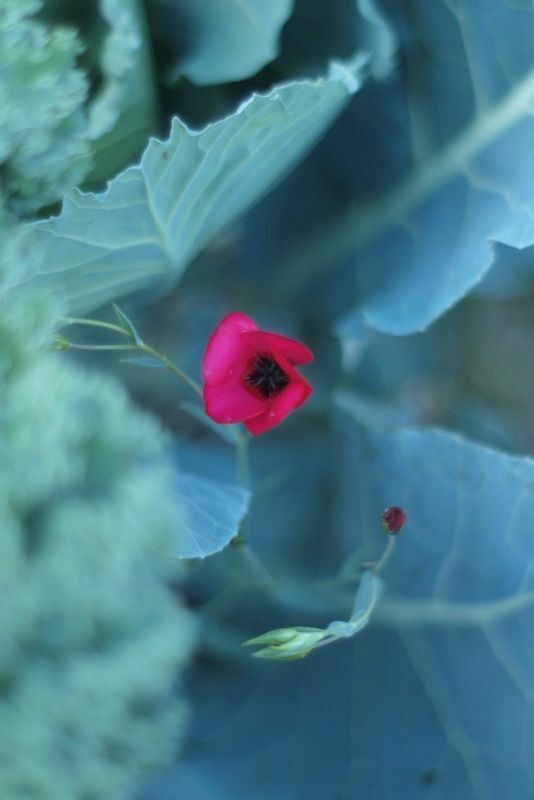 This entry was posted in cut flowers, edibles and tagged community garden, Floret, Helianthus annuus, Linum grandiflorum 'Rubrum', reseeding plants, Scarlet Flax, sunflowers, Sweet peas. Bookmark the permalink. 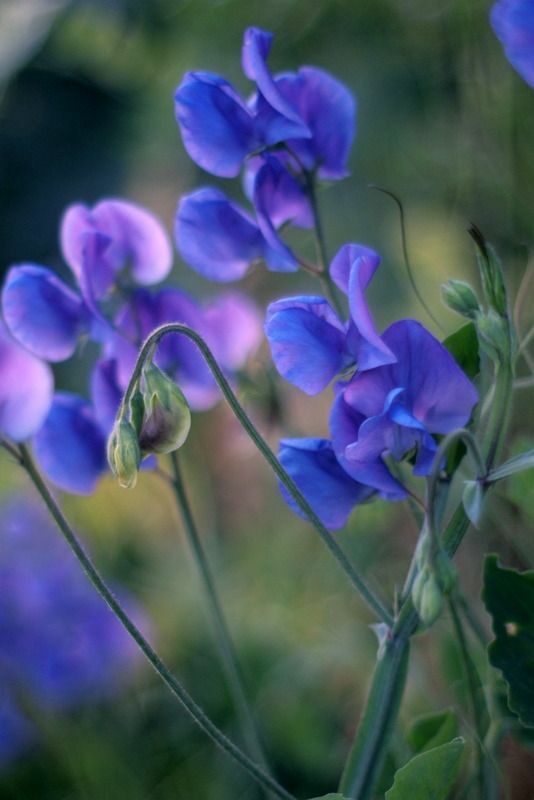 I love the sweet peas! 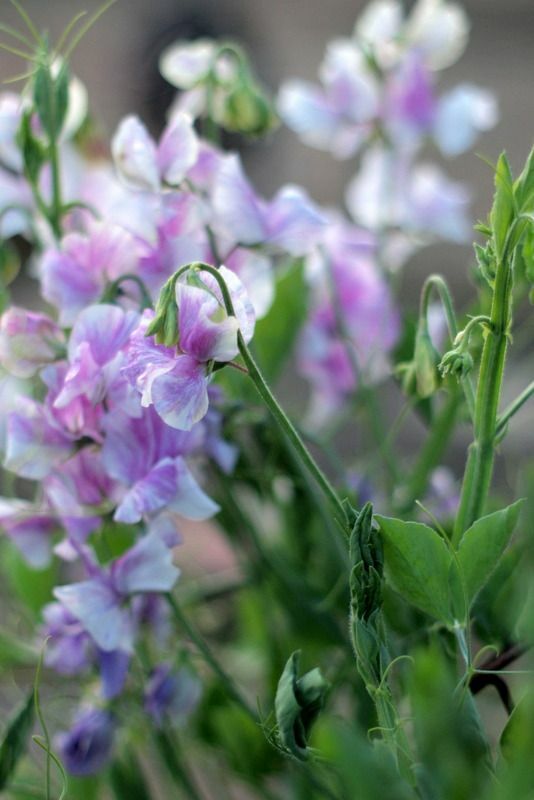 Mine are taking their time getting around to blooming. 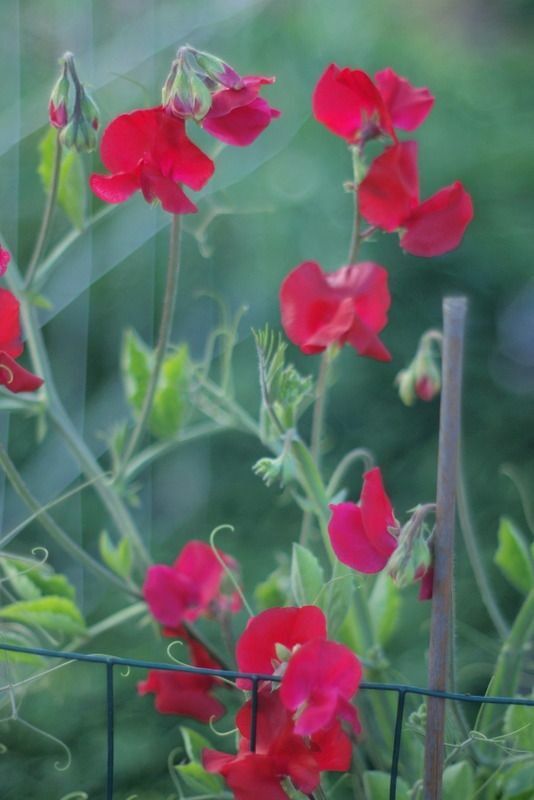 Sweet peas were one of the first plants I ever grew on my own as a kid. I had them climbing on an ugly chain-link fence and up the side of a telephone pole. They were there for years.